Technique of the Week–What do I add next on my Log Cabin? I’ve been doing lots of Log Cabins recently, and haven’t seen this tip yet so thought I’d throw it out there. It works for many different Log Cabin variations. As you can see in this photo, there are two seams. 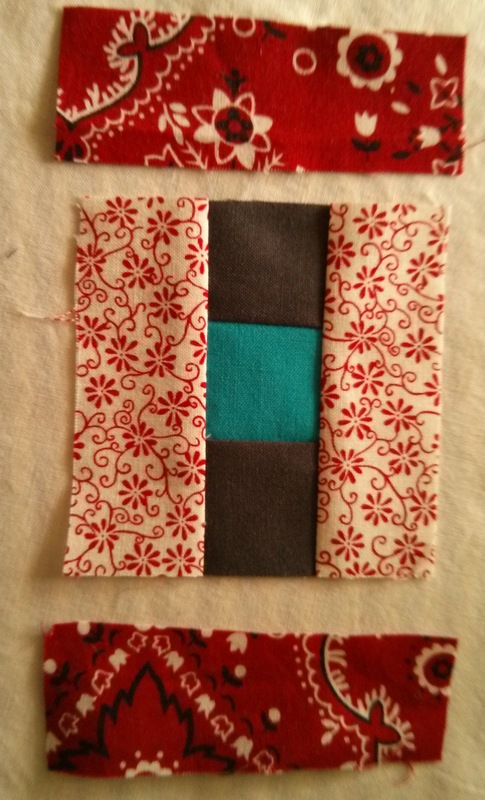 When you’re looking to see what edge you will sew to next, you will always sew on the side (or sides) that have two seams perpendicular to the edge. In the following example (sorry for the blurry pic–it’s dark out and I have had WAY too much coffee today), The center of my Cabin is the blue square. I have chosen to add grey to either side of it, and this creates the first instance where I have two perpendicular seams. At an angle of 90° to a given line, plane, or surface. That showed me the next two logs needed to go along those edges, and you can see I have added the flower print. Once those logs were added, I could see where the next two perpendicular seams I created were, and where to add the next logs. In this case, the next logs will be the red bandana strips. This also works for log cabins where only one side is being added at a time. 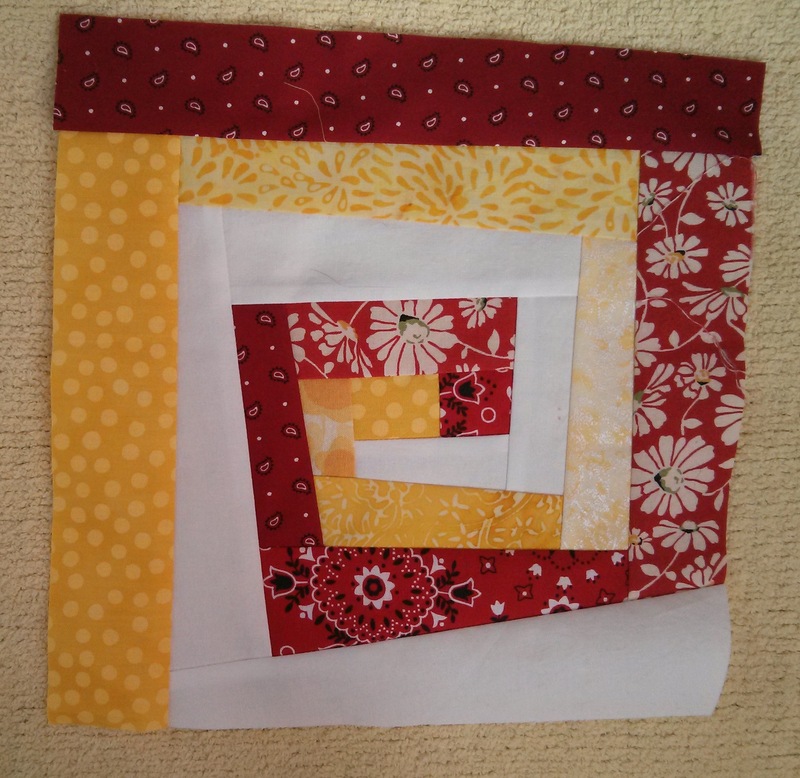 Count the perpendicular seams on each edge. Which edge would you sew to next? In the case of the spiral log cabin above, which adds logs one at a time instead of two at a time, the next log would be added to the right-side edge, because that is the only edge that has two seams that are perpendicular to the edge. A simple technique, yes, but one that saves you many headaches. Thanks for passing this insight on! My pleasure! Once you see the pattern, any log cabin design is just so simple to put together. It really frees you up to be creative!